This special podcast is brought to you by Spear Reit Limited. It’s a pleasure to welcome the Executive Deputy Chairman of Spear Reit Limited, Mike Flax on the line. Mike, Spear has released its financial results for the year-end February 2018. Before we jump into the numbers, can you give us some background information on Spear? It focuses primarily on the Western Cape property market. Yes certainly, it’s the only regionally specialised REIT on the JSE. We focused on Cape Town essentially. It makes life a lot easier, we don’t have to travel so much for business, but also we can get to our properties pretty much within half an hour to sort out any issues quickly. We diversify across property type. Seeing as we’re so regionally specialised, we need to get diversification, so we have properties in the industrial office, retail, hotel, and residential sectors. In terms of the top-level management changes that you’ve gone through, can you explain that because you were the Chief Executive Officer over the period that your results had come out? I’ve been the CEO since founding the company about seven years ago. Our Managing Director was Quintin Rossi, who started it with me and he’s been driving a large portion of the business from day one. Essentially, I handed over the reins this year, as CEO of the company to Quinton. I don’t believe it’s good for a CEO to remain in his position for too long. You need new ideas, new blood, and new energy as a business and essentially that’s what we have with Quinton. I’m going to remain on, as you said, as an Executive Deputy Chairman, playing a mentor role to Quinton and also helping drive the growth of the business and unlocking some of the value in some of the portfolio, those are the kinds of roles I do well. Let’s talk about your business. The properties that you focus on range from industrial and commercial to retail; give us some examples of the properties that are under your belt and where they’re situated specifically? You said that you focus quite a lot on Cape Town. Some of our biggest properties would be 2 Long Street, which is an office building in downtown Cape Town in the centre of the financial district directly opposite the Investec Western Cape office. Then we have Mega Park, which is a very large industrial complex in Bellville. It’s about an 85 000 square industrial complex and with the multi-tenant – Consol Glass being one of the largest with about 20 000 square metres space in that park, so that’s our industrial property. We have a very large retail and office complex called Sable Square near Century City. It’s a 27 000 square metre property and only retail, but we are adding another 20 000 square metres of retail and residential to the property that will make it quite a large mixed-use scheme. It would probably be about R600m at its full value. We have the 15 on Orange Hotel in Cape Town. It’s a Marriott-leased property and it’s a five-star property near the Mount Nelson, so that’s a large hotel property. We have another big mixed-use property in Salt River Woodstock called Upper East Side. It houses about 10 000 square metres of office and retail space as well as the Double Tree by Hilton Hotel, so another nice mixed-use scheme with a little bit of residential. So those are some of our biggest properties, but in all we own about 30 properties. We have a very large holding of commercial retail space in Tygervalley. We own about R600m worth of properties along that strip and then an assortment of industrial and office properties across the Western Cape. Your results statement today also said that you in fact have one property in Melrose, Johannesburg, but that you’re disposing of it. Is the property market in the Western Cape much better than that in Gauteng? 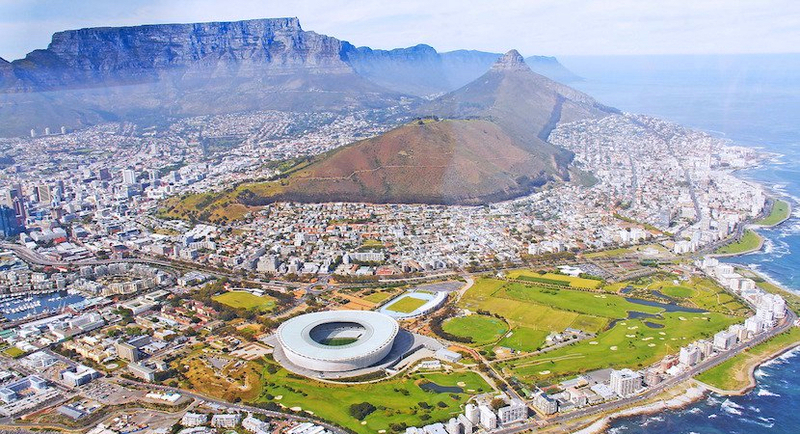 It’s been a great last five years in the Western Cape, but there’s no doubt that the economy down in the Cape Town area has outperformed the rest of the country, but there are also issues right now. There’s no doubt that the drought is affecting the Western Cape beauty this year. I wouldn’t be surprised to see a possible recession in the Western Cape happening this year (which was almost unheard of a few years ago) because of the impact of the drought on the hospitality sector, on the farming/agricultural sector. Now we’re also seeing the impact on the construction sector because we’re seeing residential property development taking a bit of a hit as the emigration from Johannesburg slows down. It’s probably going to be temporary. If we have decent rains this winter, we think that the economy will recover and probably be back on track again next year, but we had a great five years, a great lead and now I see our results and we think this year’s going to be a lot tougher given the impact of the drought. If the drought has to abide and if the rains this winter are good in the Cape, are you confident that things will pick up in the property market and the overall sectors? Yes, I think that the general property market will weather this drought in the downturn of the economy, but we will expect the hospitality to hotels, and at 215 On Orange and the Double Tree by Hilton and we’re already seeing occupancies way down on budget, way down on last year, people who took note of the drought say five, six months ago pulling through cancellations then for conferences and we’re now feeling the bite of that across the Cape Town area. It’s not just affecting hotels; it’s affecting restaurants and tourist operators. Even if we do have good rains now through the winter, the market’s only really going to turn around next year. The damage is done for this year. The impacts on the agricultural sector are apparent as well, less water, they had to cut their water and irrigation and less output, less yield. As I say, a bit of negativity on the residential property market now as well, but at the moment, the fundamentals, given that we have good rain, it should recover into next year and we’ll be back on the gravy train, whether Western Cape outperforms Gauteng and some of the other provinces from next year onward, we don’t know, but we like the fundamentals of the Western Cape and that’s where we’re based. 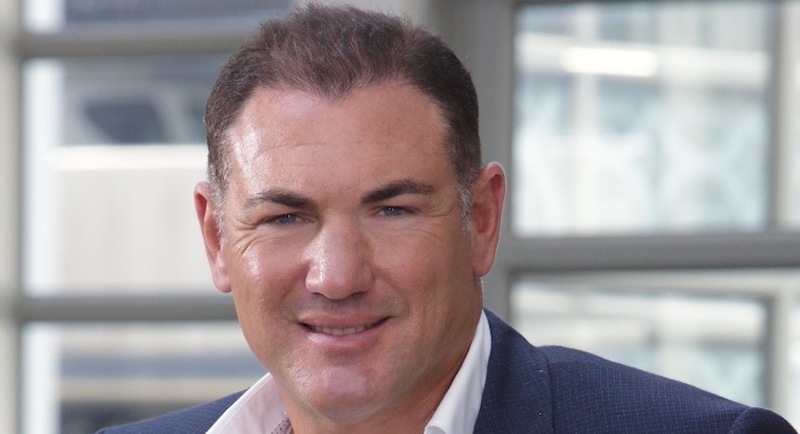 I think it gives investors another specialist opportunity and if they believe that the fundamentals are good down here long-term, Spear offers a very viable investment opportunity for people who want to get into that real estate sector in the Western Cape. Digging more into your year-end results, there are several highlights. You’re delivering a final dividend of 78.5 cents a share for the full year. In fact, that dividend has exceeded your revised forecast by 1.95%. You also reported headline earnings per share of 92.6 cents. What have been the driving factors behind your earning? It’s probably been three main material factors. We’ve been beneficiaries of a declining interest rate environment, so that helps, certainly on lowering our finance costs relative to where we were budgeted to be and we think we’re still in that declining interest rate environment even though we have hedged a lot of that debt, three to four years into the future, into the fixing and there were swaps. We’ve managed to keep our expenses under control and additionally we’ve had better than expected recoveries of municipal charges. We’ve done better than we would have budgeted. Again, we’ve also had very strong growth in our rentals. Our portfolio is pretty much a value portfolio. We don’t have overlap scenarios or situations. We’ve had very good growth on basic rental income. Then I suppose the last element would be we’ve managed to do accretive deals on acquisitions, so if we can acquire property or deals in excess of our weighted average costs, it basically is accretive – it adds to the bottom line – and benefits all existing shareholders. Therefore, the combination of that with the few negatives that happened during the last year, as I discussed earlier, we haven’t performed that great on the hospitality, on the hotel side, given the lower occupancies. That was one negative, but the positives outweigh the negatives and we managed to beat our previous forecast of 74 cents by the 4.5 cents per share dividend and we also beat our revised forecast, which we put through last October by another two cents, as you said. To talk about your acquisitions, in your statement today you say that you’ve added an excess of R1.3bn of new acquisitions to your portfolio and over all your asset value increase for the year is now standing at R1.69bn. Are you expecting further increases and expansions in these particulars in years to come? Yes, we’re not going to grow at such a high rate every year, but we are seeing deals. We have deals in the pipeline that are accretive, that we will be adding into the portfolio. We’re adding some properties as well, for example, 142 Bree Street, which we had on our books at R74m. We’ve just in fact signed a deal and will be doing a transfer of R150m for that asset that goes straight into reserves at about 50 cents a share to the NAV, just the profit on that deal. So we will try it out where we see opportunities, but there’s a fair flow of acquisition opportunities and our stock price remains reasonably strong combined with the lowering cost of debt allows us to do accretive deals going forward. Also looking at the operating segments in your results today, it’s clear and I think you’ve touched on this briefly, that your industrial, commercial and retail segments are outperforming your other segments such as hospitality and residential. Can you unpack that a little bit more for us? As I said, industrial has been a strong area of rental growth for us. Occupancies have remained extremely high. In fact, our industrial portfolio is a hundred percent full. Mega Park, which is a large industrial investment that we’ve made in the last year, has performed extremely well. We’ve managed to get rental growth on renewals of in excess of 16% on average. We’ve done well on our office portfolio, the 2 Long Street acquisition, which is one of our largest properties at around R400m, has also shown larger rental growth. In fact. it has been one of the few offices in the country that’s shown real growth, has been in the Cape Town CBD relative to Sandton and some of the other major CBDs where vacancies are rising due to excess development. There hasn’t really been a lot of new stock added in the Cape Town CBD, but I think we’re seeing a delayed benefit from things like emigration as more demand for office space takes place. We’re getting demands from big users like Amazon who’re growing their Western Cape office needs. As the general hits, the benefit is, they take more space as more call centres open up in the Western Cape. Therefore, rental growth has been strong and not too long ago we acquired it on an average rental rate of about R122 a square metre. We’re doing deals now only six, seven months later at R145 a square metre, so there’s a nice growth there as well. Which segments deliver your highest yields? It’s really a question of where we get the best rise in nominal rentals and I’d say it’s certainly been in those two, in the office and the industrial sector in our portfolio in the last year. Prior to that, our hospitality was fantastic. Leading up to the end of 2016 hotel growth rates were the star performers and retail was also the flavour of the month over the previous four, five years, but now retail’s obviously come under pressure. We are quite lucky in that we only own convenience retail and that has held up a lot better than your large retail with the high cost line shops. We aren’t in that sector, but that sector’s come under pressure from two elements. As we know, ecommerce more so is done directly online and secondly, too much development, a lot of its consumer spend is also impacted on the general retail market. Going forward, as I said hotels are going to be under pressure this year. We’ve downgraded our forecast in that area, so our budgets weren’t as robust as we would admit. It is going forward, although we’re still budgeting a growth and distribution between now and for the year ahead. It would’ve been a lot stronger, a lot more robust if the hotel industry were still something like it was in 2016 and 2017. We expect to add more residential to our portfolio. Over the next year, we’re going to be developing probably a couple of hundred units for rental, Sable Square and we have another development plan for Paarden Eiland. That’s medium-term, obviously you don’t develop, you don’t bring the units on immediately, but we think residential long-term is in the Western Cape. Rentals are strong, occupancies have always been fairly strong and as long as you’re developing fairly close to the city centre that should all go well and as long as you get the yield out, which we can because we’re developing on land which we own already, where we don’t have any costs attached to that land. 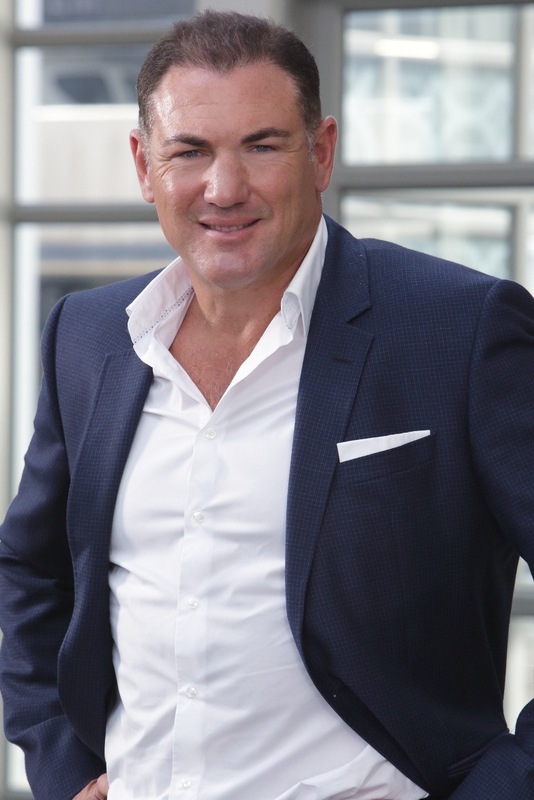 You mentioned a little bit earlier Quintin Rossi is taking over as Chief Executive Officer, what is going to be your focus moving forward with the business? We have a number of properties with undeveloped bulk in our portfolio where there’s huge opportunity to add value. The Bree Street example is a good one where I worked on a rezoning of that property and although we didn’t end up developing it, we ended up selling it, we doubled the value of that property in the sale and it’s opportunities like that I like to focus on. We have a lot of bulk on some of our properties, such as Sable Square and our Paarden Eiland portfolio and it’s going to be driving some of those rezonings and developments going forward and looking at new opportunities to grow the portfolio in accretive deals. So potentially deal making and driving developments forward and then essentially just being a mentor to Quinton who’s essentially going to take the mentor for running the property management operation and dealing with the capital side of the business. Mike Flax, thank you so much for taking the time to chat to me today. Yes, my pleasure, thank you. The industrial portfolio offers a diversified industrial offering situated in well-established industrial nodes consisting of mini, mid-size and large industrial units with an added value proposition being the competitive asking rate per square meter. A combination of the abovementioned has ensured high occupancy rates and strong performance in line with management’s expectations during the reporting period with no major tenant movements or lease expiries. The industrial portfolio (152 514m2) occupancy was at 100% at year end.